AuricAG was the culmination of years of dreaming and planning. 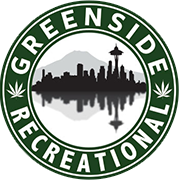 Licensed last April, we set up our indoor grow in the Sodo area of downtown Seattle and have been busy producing great flower and the highest quality Co2 oil. Every aspect of our operation is hands on and we take care to remain focused on constantly improving. Our grower, Stephen Elliott, has been producing fine flower for over 12 years and is constantly seeking new strains as well as working on getting the best out of our current strain inventory. We work in small batches much like a micro brewery to help ensure quality remains. We believe that we live in the best region in the world for Cannabis and we want to exceed the expectations of our customers.